Three clips are below from the latest 'Doctor Who' Christmas special that will be shown on the BBC. Christmas Eve 1892 and the falling snow is the stuff of fairy-tales. When the fairy-tale becomes a nightmare and a chilling menace threatens Earth, an unorthodox young governess, Clara, calls on the Doctor for help. But the Doctor is in mourning, reclusive and determined not to engage in the problems of the universe. 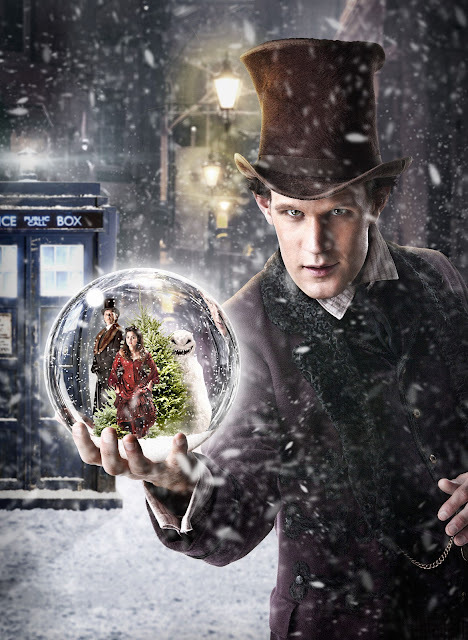 As old friends return, will the Doctor really abandon humankind or will he fight to save the world – and Christmas – from the icy clutches of this mysterious menace.